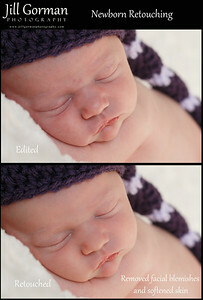 Thank you for you interest in my newborn photography! 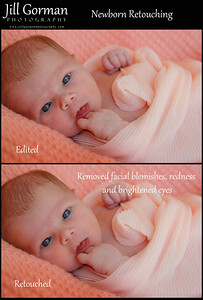 Below you will find a few examples of how I retouch newborn photos prior to printing. 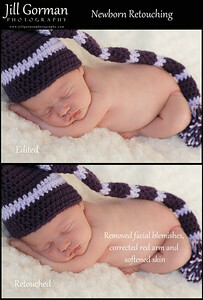 Because retouching takes a considerable amount of time, I only retouch the images that you choose to have printed. 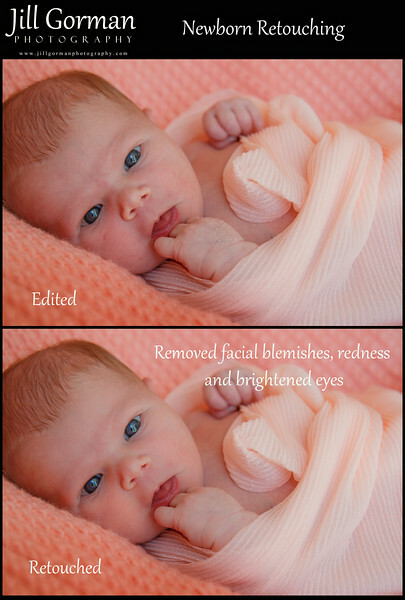 The images that you will find in your online proof gallery are fully edited (meaning color corrected, adjusted and cropped, if needed), but are still missing the finishing touches of retouching. 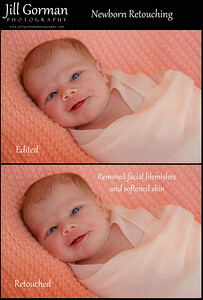 When I retouch an image, I digitally remove minor blemishes, discolorations and patches of dry skin. 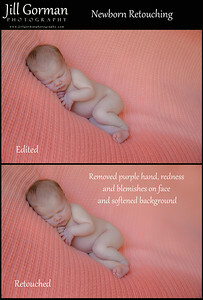 I may also add artistic touches, when necessary, to produce the highest quality image. Also, as a bonus, if you choose to purchase both a digital file and print, I will send you the retouched digital file at no additional charge! I plan on adding more examples when I have time, but here is a start. 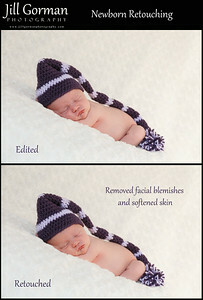 Please click the thumbnails at the bottom is you would like to see larger images.